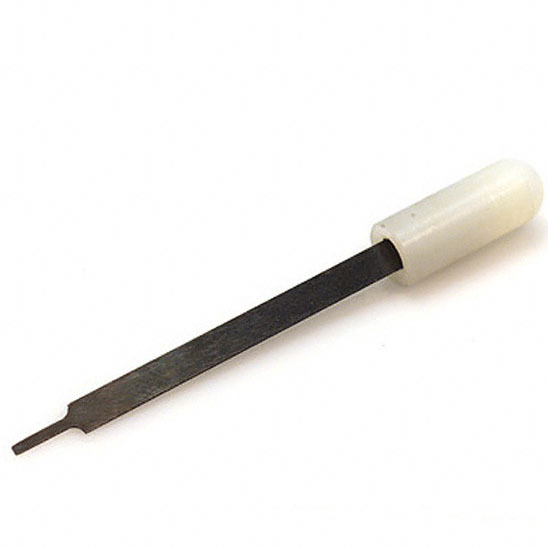 Precision Molex/Waldom brand factory pin extractor tool for use with flat 0.156-inch connector pins. Makes removal of pins from connector housing easy and painless. Can be used with many common pinball connectors. NOTE FOR USE: Do not pry up/down with extractor tools- tips can break off. Tool items not eligible for return- all sales final. NOTE: No returns on Tools - all sales final.